Get up close to the music and the man who has captivated the world with his extraordinary gift. â½so intense and meaningful a focus to high music-makingâ¦.he was clearly master of the momentâ¦one of the yearâ s most gratifying musical experiences.â (WA Newspaper). 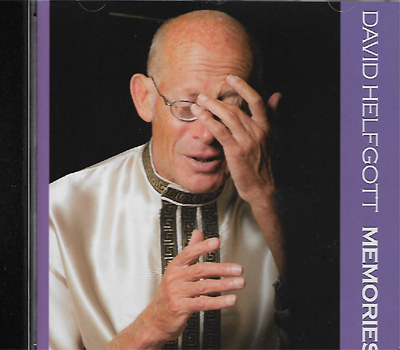 David Helfgott is a virtuoso pianist who touches the hearts bringing great joy with his music. After being immortalised in the film Shine, he has toured 37 countries, selling out some of the worldâ s most famous concert halls. We are very proud to welcome him back to our humble little Avoca Theatre. David and Yantraâ s previous concerts here sold out very quickly with patrons leaving the event in raptures. This is a concert not to miss! â¢ Select date for Session Time. â¢ Click Session Time to Book Online. 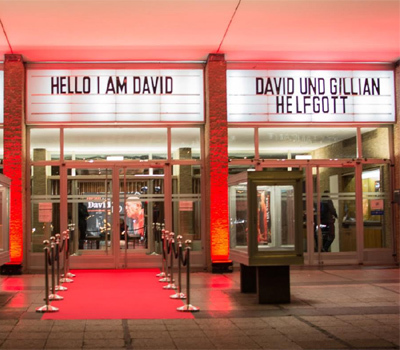 My thanks to you with all my heart for sharing with me the experience of David's extraordinary talent. It will remain with me as one of the greatest concerts I've had the pleasure and privilege to attend. I have questioned myself for months as to whether I should write to you. Today I realised I should. On the 21st of July this year I was sitting in the Perth Qantas Lounge. I was feeling a little anxious as I was leaving Perth to begin a new adventure. I was off to live in Uruguay and had a new job to get to. I was leaving my family behind for 2 months whilst I get everything set up and then return to get them to begin living in South America. It was a big deal and the stresses involved with organising such a move were close to overwhelming. Gillian and David walked in the lounge and sat next to me. David and I began talking immediately. He then asked if there were any newspapers and I said I would take him over to them so he could chose one. As soon as I stood up he put his arm in my arm and we walked around the lounge chatting away. We talked about all sorts of things - even Russian rivers! I talked with Gillian also and it was a great experience. 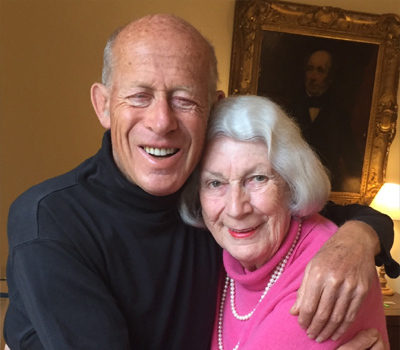 The most memorable part for me, at this time of my life setting up a new life in a new country, was that he told me repeatedly "Be Bold, Be Brave Peter." These words were just what I needed to hear. I helped carry his bags onto the plane, all the while with our arms locked together. When he went to his seat he kissed me (half on the lips!) and told me I was beautiful and "Be Bold, Be Brave Peter." Over 3 months later and I am now living in Uruguay with my wife and 2 young girls. It is wonderful and my new work is better than I could have imagined. I think about those words every day and it strengthens me when I think things are getting tough. If there is any way that I could get a photo of David with those words on it to have in my office here in Montevideo I would cherish it as it was a case of perfect timing and inspiration for a guy who explores for oil and gas and has never played a note. Eyes closed, the impact of the light and shade of the music is a powerful force as, impossible cadences and finger gymnastics, a dazzling feat. At the end of each musical piece, he jumps to his feet, grins broadly and bows hyperactively as he effusively thanks his audience. Thumbs up again. He does not speak between pieces. Not in the normal accepted sense. But there is no shortage of communication, albeit the language is somewhat different. Backstage? His warmth and love fill the room. He takes my hands, holds them, admires my nails, hugs me, nuzzles my face, bestows kisses with great generosity. Yes, he is going back to Budapest for a concert. He mutters greetings in Hungarian. Vienna? He switches to German. 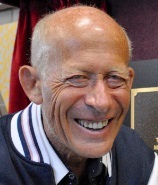 Then the banter is English and Helfgott speaks without taking a breath. All at a million miles an hour. 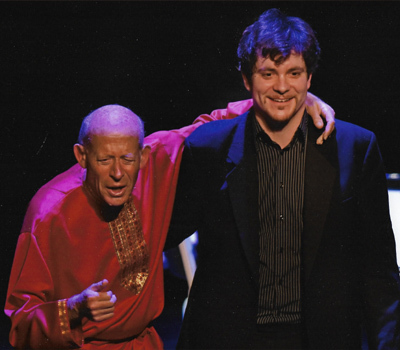 David Helfgott's recital was held on Saturday May 19, 2018 at Sydney's City Recital Hall in Angel Place. Hi David, my name is Jade and I am a 14 year old pianist. I have been playing piano for about 7 years (this being my eighth) and I went to your show last night (on the 28th of April). You have truly inspired me. I watched the movie Shine before I went to the concert and your story is so amazing. To see how you got to where you are now and all the trouble that you went through... I was honestly crying through half of it. After that, I was even more excited to watch you play live. This was my first piano recital that I have ever been too and it was an experience I will never forget. Usually, I am used to playing in small school concerts so it was incredibly refreshing to watch someone else play. Like really play. Especially someone of your calibre. Your recital was astonishing. It blew me away and I don"t t think I have any words to describe how magical it was. To be perfectly honest, I don't typically listen to a lot of classical music, though I know I should, but after watching you perform, I am determined to listen to more. Your performance transported me to another world. I was sitting on the front row in the high stands right in the centre and i got the best view in my opinion. I was bewildered by how relaxed you looked on stage and I felt the joy and happiness you gave off to the audience every time you bowed. I found it relaxing how you mumbled to yourself during the performance and how you talked about the song and the dynamics. How you sang along with the melody and counted out loud for some parts. I have always been determined to learn flight of the bumblebee at some stage in my life and when you came out for the encore and played it flawlessly? I was lost for words. It was pure and utter magic. I thought it was sweet how you shook the front rows hands and though I knew we had great seats, at that moment I was in envy of that row. I couldn't stop smiling the entire night as I relived the memories and I can't wait to tell all my friends about how I saw one of the best pianists in the world play live. 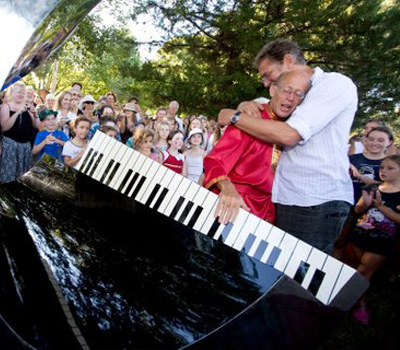 You have inspired me to become a better pianist, to appreciate everything I am given and how lucky I am. I wish you and your wife the very best in your lives and hope you have wonderful years to come! There have been allegations in the Australian newspapers about "inappropiate behaviour" by Geoffrey Rush and below are our thoughts. David and I are appalled at the Sydney Theatre Company's handling of an inappropriate behaviour complaint made about Geoffrey Rush. His accuser remains nameless and the STC refuses to elaborate as to what the complaint contains to him or his lawyers. If we allow the denigration of people's characters to occur without any facts being presented, one fears for the future of our nation. Let us hold to our law of innocent until proven guilty. 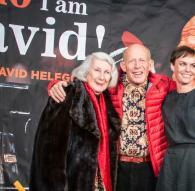 David and I reaffirm our great admiration of Geoffrey's integrity and dedication to his craft, and our boundless gratitude to him for his sensitive and brilliant portrayal of David in Shine. His empathy towards David since 1990 has never wavered. 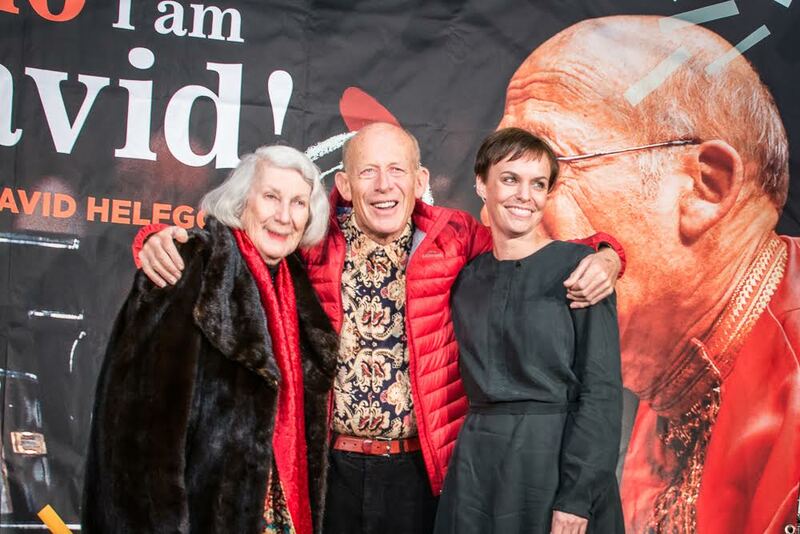 David Helfgott returns to screens on NETFLIX with HELLO I AM DAVID, a very moving film of his life on concert tour with the Rachmaninov Third Piano concerto. This is a very touching, funny and uplifting film and a wonderfully sincere portrait of the pianist and catches his irresistible personality and his music. Not to be missed. Check his tour schedule for performances in Europe and UK in 2017 of this wonderful concerto on duo pianos where the full beauty of the piano score shines through.